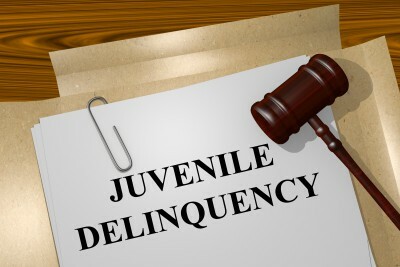 If your teen gets involved in a lawsuit due to accusations of criminal behavior, Contact Farmington juvenile delinquency lawyer from Jardine Law. Children and youth tend to follow a path towards delinquency from an early age. They generally don’t engage in criminal behavior by accident. Studies have shown that there are two kinds of delinquents: those who start during early childhood and exhibit antisocial behavior and those who engage in this destructive behavior when they enter into adolescence. You should have a good Farmington criminal defense lawyer by your side if your teen is being accused of a crime. This is an effective tool that allows families to intervene and prevent crime in young adults. Research has shown that the earliest the intervention takes place, the more chances to stop the negative behavior later on in life. Some archaic approaches had focused on remediating disorderly behavior. However, recent research proves that early intervention is the best past to youth delinquency prevention. Many delinquency prevention programs have also proven to be a good financial investment. These programs can save taxpayers billions of dollars, up to $10 for every dollar invested. This is basically due to the high costs of incarceration. Preventing crime earlier on reduces the chances of our youth becoming violent criminals and alleviates the burden crime places on society. There is a model that helps promote positive youth development. Their needs are basically handled before they enter the juvenile justice system. Teens learn to belong and develop a positive behavior. This model has promised to be very helpful and yielded many positive results among the youth. Parents should get informed about these programs and allow their children to participate in them, even when the children are not inclined towards delinquency and antisocial behavior. When your teen gets involved in a lawsuit due to accusations of criminal behavior, the best legal route is hiring an experienced Farmington juvenile delinquency lawyer. Whether your teen has been charged with a felony or misdemeanor, he or she is under the constitutional right of seeking legal representation. Your criminal defense attorney will work closely with you and create an effective strategy that helps fight some charges and prove your teen’s innocence. When a client pleads guilty, we seek to minimize the sentences. You can work closely with an attorney and reach the desired end. Every criminal case is different therefore you need to schedule your initial consultation and allow us to study your circumstances. Hiring an attorney is a necessity and a good investment on your child’s future.